In the history of QUEEN’s boot legs, legendary Daimyo board is said to contend for the 1st and 2nd place brush up. It is the ultimate specification that updates the highest and the longest in history. 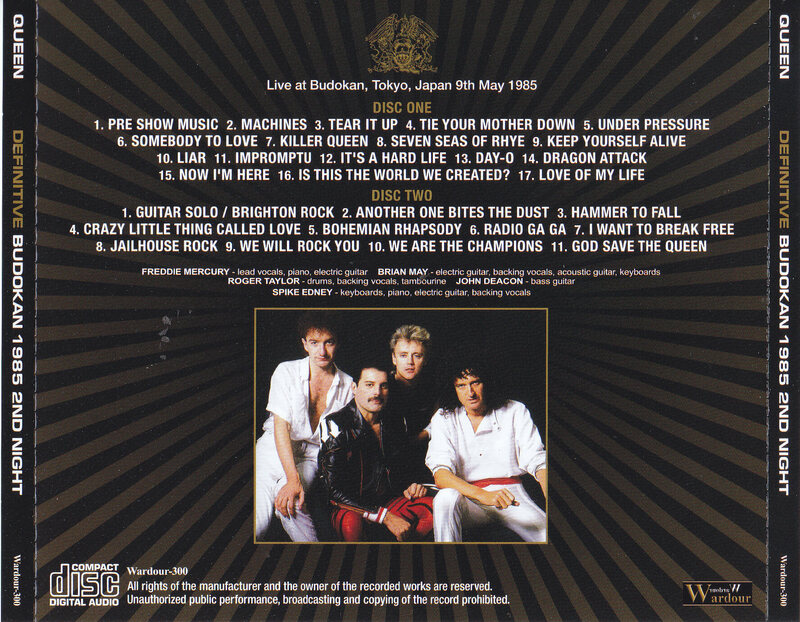 That Daimyo Edition is a performance of “THE WORKS JAPAN TOUR” which became the final tour of QUEEN in Japan “May 9, 1985: Nippon Budokan” performance. That super superb audience recording. This week, the definitive name recording of the last Japan tour is released at a stroke. First of all, let’s organize the top live album of each performance at the schedule of the time. It seems that the voice saying “AT LAST BUDOKAN is amazing is amazing”, but this work is one that updates its highest peak. Digitized the original master with the equipment of 2018, and further polished with mastering that entered in a fine way. Of course, I do not do anything like polluting the beautiful sound that the legendary master inhaled with soundless pressure pressure. However, review each tone range individually and fine-tune the balance. I emphasized more natural “ringing”. Especially improved is the growth of treble. Freddie’s singing voice extends beautifully everywhere with its natural sounding. Moreover, the part which the feeling of left and right stereo collapsed is thoroughly checked. I finished it as the ultimate sound that can enjoy plenty of beautiful treble with stability. In addition, not only the sound but also the length has been updated. 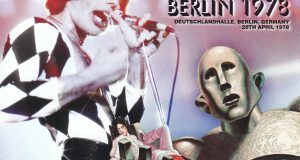 Actually, “AT LAST BUDOKAN” had a cut change in the middle of “Now I’m Here”, and the vocal Improvisation was interrupted. This work complements that lack with the same day master of “FINAL BUDOKAN NIGHTS 1985”. Also added before the performance. I made it to the longest record ever. As a matter of fact, the lack of “Now I’m Here” is less than 10 seconds, but this part is also romantic and the beautiful interaction with the audience is beautiful. Up until now, the mood has been cut off “was that?”, But this work is a live album that can be immersed as it is. It is precisely because it is such a famous renewal sound that this day is a nomadic performance. As expected it is impossible to decide the top performances of all the careers, but the story changes as far as “THE WORKS TOUR” is limited. 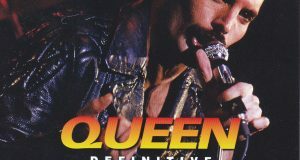 Actually, even at the overseas QUEEN sound source special site “Freddie on the 2nd day of the Budokan is said to be the best of THE WORKS TOUR.” Its outstanding performance is overwhelming, a powerful and vibrant singing voice roars in the full story, and it is drawn beautifully with the highest peak sound … …. It’s not just a great performance, it’s not just a miraculous sound. It is called “the highest peak of all QUEEN audiences” because it is a live album that both explore the top. One to record and update such supernatural recording. 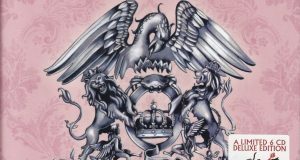 Because the whole world is looking back to QUEEN now, I pride ourselves in Japan recording that I would like to taste again. Please permanently preserve the taste with the press 2CD. 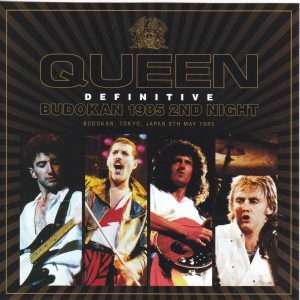 ★ “At Last Budokan” remastered master cassette. It compensated for the missing part of tape reversal. Including intro for the longest time included.